Birds causing annoyance in residential areas is a major concern which we take up in order to eradicate the inconveniences faced by the public. Bird Netting is highly demanded which makes it our duty to bring ease to their livelihood. Large networking capability makes our business run smoother and better, as line of clients in the graph takes a positive slope. These undertaken procedures do not harm the birds in any slight manner. 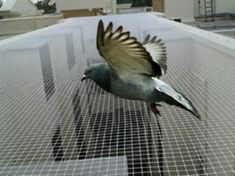 They just make sure that birds do not arrive into the residential areas causing a menace. Why use hail protection netting? Hail storms and similar natural phenomenon can cause catastrophe to your crops or produce. Farmers and other crop land owners would be in huge trouble if sufficient protection mechanism is not installed for their crops. Earlier there were no such mechanism for protection against hail or storm and farmers were helpless. But today that is not the case. With advancements in every field, innovative ideas are also showing its effect in these areas as well. How are they made or what is it made of? 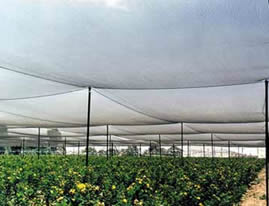 Hail protection net is generally made of HDPE and is made into meshes with diamond or square shapes. Some additional settings like eyelets, centerline may also be provided for better reinforcement and strength. Anti hail netting or just hail netting provides an economic and effective solution for the problems it fights against. Made from polyethylene, these netting are hard to damage and offers great durability for many years yet to come. They are also generally equipped with button holes which aids in proper installation of these nets. There are several other uses for hail netting in addition to the effective protection against hail storms that it guarantees.